For CheapOAir Miles Away. June 2018. Read the full post on CheapOAir Miles Away. Elegant Hotels offers a unique collection of five luxury hotels beautifully situated along stunning beaches on the west and south coasts of sun-soaked Barbados. 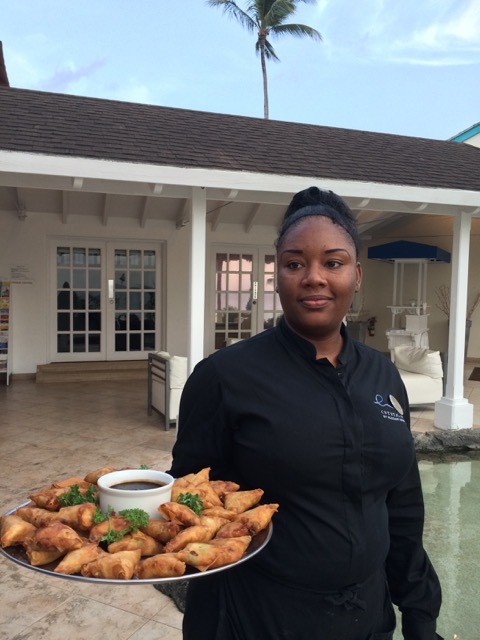 With 99% of the on-island staff hailing from Barbados, Elegant Hotels created an exclusive “Elegantly Bajan” program where they feature the island’s true culture and cuisine. 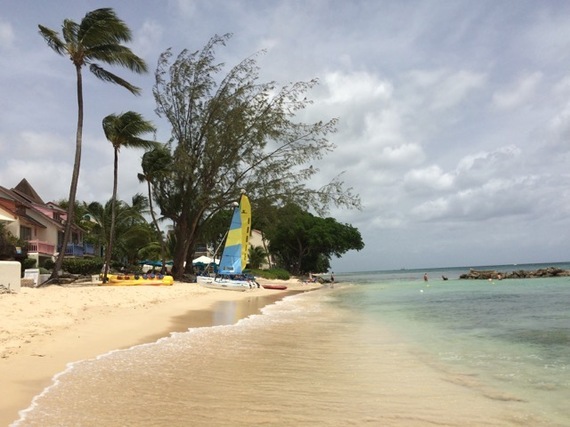 Crystal Cove is located on the west coast of Barbados, where the waves are gentle and beaches pristine. The boutique resort welcomes guests into its open lobby, adorned in graceful white tones. Bohemian style building with hues of pink and blue add Mediterranean architectural elements to the backdrop. Lush gardens filled with landscaped herbs, frangipani and bougainvillea surround the 88 contemporary rooms and suites, each equipped with a private patio or balcony. 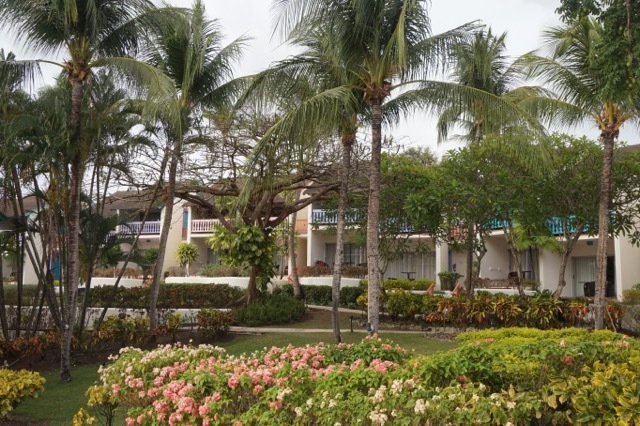 Although the resort is not small, it feels intimate and personal. As the name suggests, there is a man made cove right under the lobby, which houses a groovy looking bar. A cascading waterfall suggests guests jump into the refreshing swimming pool and take a seat at one of the stools at the swim up bar. There are three freshwater lagoon-style swimming pools on the property, each offering a spectacular view of the white sandy beach and turquoise blue waters of the Atlantic Ocean. Our evening at Crystal Cove Resort starts with a manager’s cocktail party (held weekly) where we mingle with the staff and other guests. All of the hotel’s staff members individually introduce themselves and offer their services to make our stay comfortable. We sip on champagne, and nibble on samosas and fish cakes at the resort’s elevated patio, overlooking a beautiful sunset on the sea. We browse through paintings, crafts and souvenirs displayed by few local artists. Speaking with the hotel’s management, I get the impression that they prize their warm Bajan hospitality and superior service. The staff gets to know your name, notes your preferences, pays attention to small details, and makes a sincere effort to meet any reasonable demand. For dinner, we head to Drifters Restaurant at the beach. 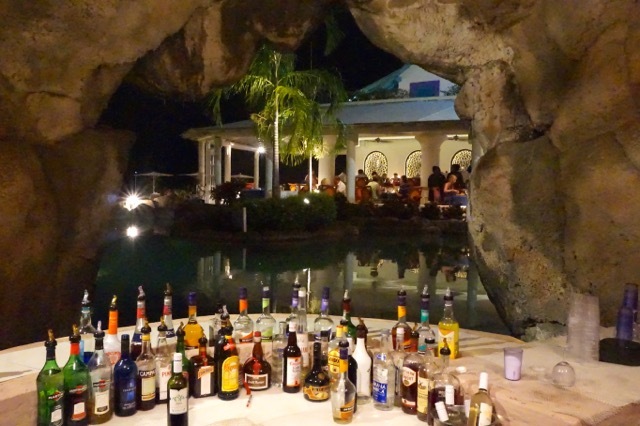 Here, the vibe of Oistins Fish Fry (a popular island Friday night tradition) is recreated. Delicacies include granny’s fish cakes with Mount Gay Rum cocktail sauce, fried flying fish with Bajan pepper sauce, grilled sweet potato, fried plantain, calypso rice and pumpkin and ginger soup. A live DJ takes us late into the night, playing popular tunes, ranging from calypso to reggae, to American 80’s and everything in between. The following day, we head out to the capital city of Bridgetown (located only 15 minutes away) for a Heritage Tour, arranged especially for the hotel guests. This daylong tour takes us through historic neighborhoods and important sites such as the Mount Gay Visitor Centre, Kensington Oval, St. Mary’s Church, Parliament Buildings, Garrison Savannah and the Prime Minister’s Office. 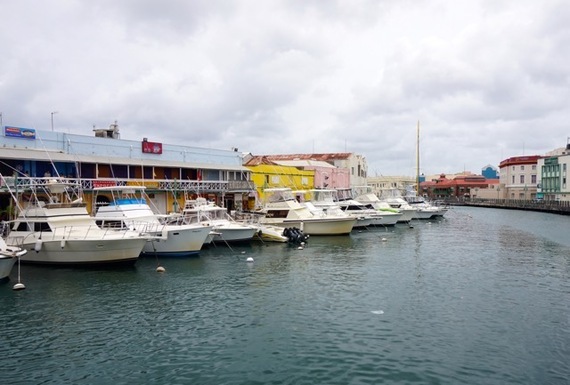 Bridgetown’s harbor dotted with fishing boats, shops and restaurants, makes for a romantic stroll. We have some down time at one of Barbados’ most beautiful beaches, Brown’s Beach, to snorkel, swim and relax. Music is an essential part of Bajan tradition, and shares its roots with other Caribbean islands such as Bahamas, Jamaica and Trinidad and Tobago. While there is some form of live music at the hotel every night, on Heritage Night, Crystal Cove showcases a Caribbean cabaret with dancers wearing carnival costumes and performing a range of dances and feats, including fire eating and limbo dancing, accompanied by the Tuk Band and the famous Calypso King. We enjoy a glimpse of what Crop Over (Barbados carnival held in August) fiesta would be like, while we sip on coconut and rum cocktails, and taste more authentic dishes from around the Caribbean. Aspiring musicians can also get up and join the free steel pan lessons offered on site. As a British colony, the national sport of Barbados is cricket and it is common to see practices and test matches going on as you drive along the road. However, Road Tennis is the little known national sport of Barbados, native to the island. It involves a ‘skinned’ tennis ball, a stretch of road for a court and wooden paddles to bat the ball between two players. There is a hands-on lesson across the street from the Crystal Cove for players of all ages. After a fun and invigorating game of road tennis, we settle down for Rum Shop Initiation experience. Rum is an important part of the island’s economy and its culture. It is said there is a rum shop on every corner of Barbados and that liming (Bajan slang for relaxing) at a local village rum shop is an essential part of the Bajan experience. We learn a few rum shop games such as dominos, sample rum shop snacks including corn beef and biscuits, as well as cheese cutters made with local salt bread, and sample different flavors of local rum. The rest of the afternoon, we avail the benefits of the complimentary water sports offered as part of the all-inclusive experience. Beach ambassadors and lifeguards facilitate lessons in windsurfing, kayaking, sailing, banana boating and waterskiing. Kids under 12 years of age are whisked off to the Flying Fish Kids Club where they do supervised water activities, play Wii, pool and air hockey, and watch movies late into the evening. 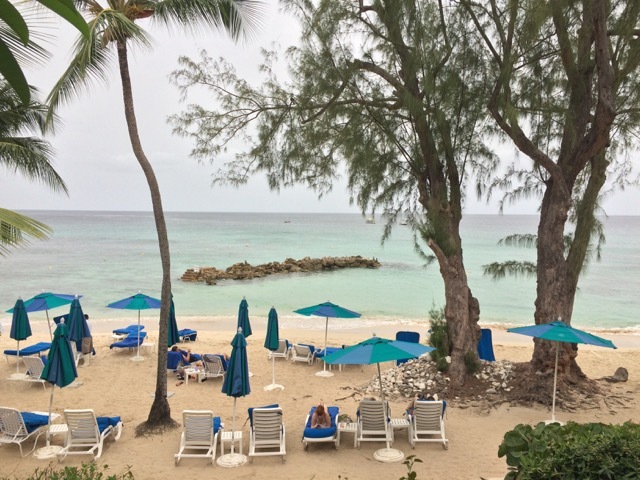 While many visitors to Barbados chose to stay at all-inclusive resorts and take little time to venture outside, guests of Elegant Hotels can get a peek into the island life, while being pamper in luxury. 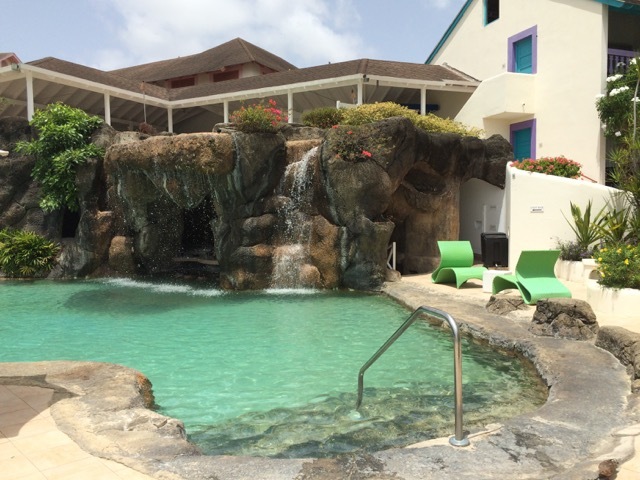 Owned and run by the locals, each of Elegant Hotel’s properties is conducive to enjoying an authentic Bajan holiday, while learning the culture and supporting the local economy.